You can contact me at moose@recreationpros.com. Hello, I’m Curt, but you can call me Moose (camp name). I have a lot in common with the moose. I am a big guy and love the outdoors. I don’t run with a herd. I like to be on my own, do my own thing. While Moose accurately represents one half of my personality, I would say an otter would represent the other half. I LOVE SUMMER CAMP. My first camp job was over 20 years ago. I love camp songs, campfires, archery, team-building, horses, kayaking, games, color war, making friends, guiding youth, laughing, etc. I have learned a lot by working at a variety of camps (7 to be exact) and by sharing ideas and collaborating with other camp professionals. As a summer camp and community recreation professional my aim is to serve people who are looking for new camp program ideas. Camp programming is my sweet spot. I am all about themes, events, games, changing up activities, competitions and challenges. I’m also a fan of camp traditions, enjoy the marketing side of business, and love training, supporting and mentoring staff during the summer. I get a thrill out of going into a new camp and bringing what I know to enhance the overall program. Part of the way I serve the summer camp and community recreation fields is through a site called Patchwork Marketplace where anyone can sell their downloadable resources, and through a podcast called Rec Heads and Camp Nerds. Both are run by me and my partner Patti Sampson of CampNerd.com. I have paid my dues in sweat, tears and laughter in both resident camping and day camping, and I have learned a LOT about customer service by managing the front office of a hotel. I won’t bother telling you about the crazy random jobs I had as a process server, bartender, undercover shopper, graveyard shift bellman, skating rink attendant, ice cream scooper, mobile DJ or movie pass pusher. When I’m not in camp mode (which is pretty much always) I like spending time with my corgi-mix dog, Max, playing video games (you’re never too old), going to the movies (especially to theaters that have big, plush reclining seats – so cool), taking long drives (while listening to podcasts or an audio book), watching videos, videos and more videos on YouTube, playing disc golf and planning my next Disney trip. Basically, I’m just a kid at heart…and always will be. “But Moose, you didn’t answer the important questions.” Allow me to answer the questions I get from camp diehards. Q. Favorite evening program at resident camp? A. Depends on the cook. A. It’s gotta be Time Travelers for a general session of camp and Harry Potter for a specialty session of camp. My first (and only) resident summer camp experience I had as a camper was horrible. I was born and raised in Southern California but have never surfed, though I am SCUBA certified (and I only did that so I could put together a one week SCUBA camp for teens). I currently live on the road, traveling in an RV. I used to own a retired police motorcycle and was excited when I first got it because I figured people would move aside when they saw me coming. Nope. They just slowed down, making it more difficult to get where I was going. I nearly threw up when I got my first cabin group as a resident camp counselor due to the butterflies in my stomach. I figured the group of sixth graders I was assigned to would hate me. There were other counselors who were much cooler. Turned out they didn’t. We had an awesome week. My favorite ice cream is Moose Tracks (no surprise there). Fall is my favorite time of the year. I especially love October. I was really into breakdancing in middle school, and I even won first place in a breakdance competition (though I competed in about 40 of them). The stuff B-boys do these days, however, I could have never done. I took helicopter pilot lessons. I stopped shortly after my solo flight when I decided it wasn’t what I wanted to do as a career. I have a nerd side with a love for Harry Potter, Firefly, Star Wars, young adult books (Hunger Games, Ranger’s Apprentice, Cinder, Percy Jackson, etc. ), The Walking Dead and Game of Thrones. I have a strong like for Dr. Who, superhero movies, sci-fi and/or fantasy movies, and playing video games. However, I’ve never been into comic books or anime. In my younger days I played baseball, football and basketball. Oddly enough, I don’t follow sports these days, but I always watch the Super Bowl and will never turn down an invitation to attend a hockey game. I love everything about the ’80s – the music, hairstyles, fashion, break dancing, cartoons, movies, and television shows (Facts of Life anyone?). My 5 favorite camp movies can be seen here. So there you have it. You now know more about me than you probably wanted to know. Of course, one of those 14 tidbits is a lie. Which one do you think it is. Click here to find out. If you are interested in camp programming ideas you should definitely get on my email list. 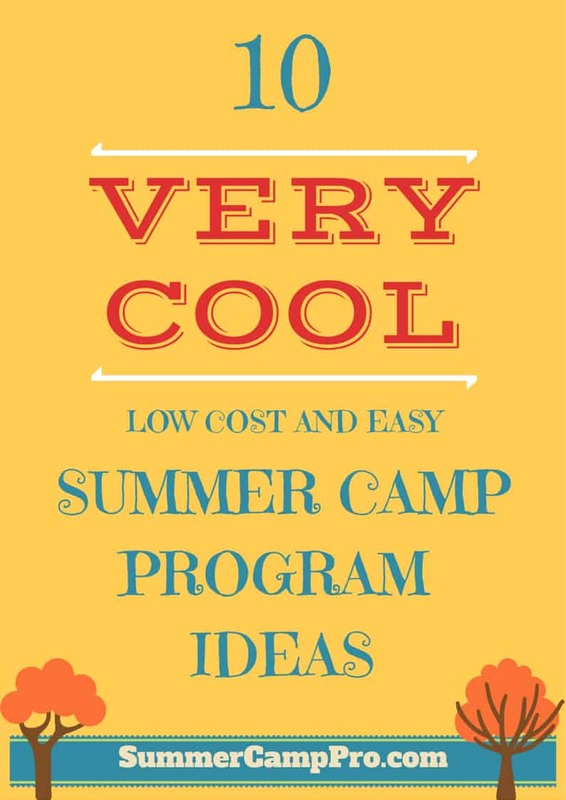 You’ll get my 10 Very Cool Summer Camp Program Ideas guide and you’ll get notifications about my monthly Email Round Tables. And if you would like to support what I do here, check out my store. I hope you get a lot of ideas from my site that you can use at your camp. I encourage you to share your comments, opinions and suggestions in the comments section of the posts.